Words really cannot express how fun, unique, heartfelt and wonderful this wedding was. Every so often in life you meet someone special who completely captivates you and who’s energy is utterly infectious and lifts your spirits. Cliodhna is one of these people. I’m sure you can’t help but tell from these photos how fun loving and happy she is. And as for Ian…well I’m sure his outfit alone is enough to tell you that Ian is as equally a wonderfully fun loving person, it is plain to see why these two are such a perfect match for each other!!! 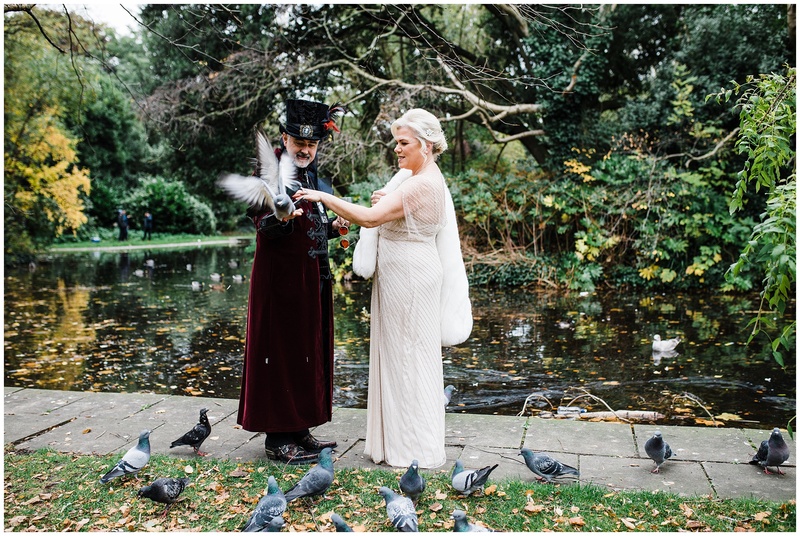 Cliodhna and Ian decided to do a first look before their ceremony so myself and Cliodhna skipped across the road to St. Stephens’s Green to find to both our shock Ian standing there surrounded by a huge flock of pigeons he was feeding by hand!!! Ian had kept his outfit a surprise from Cliodhna too so you can tell by her face just how shocked and excited she was to see him. We then proceeded to have the most fun trip around town…..dancing down Grafton street, hugging pink monkeys, eating ice cream…you name it we did it! 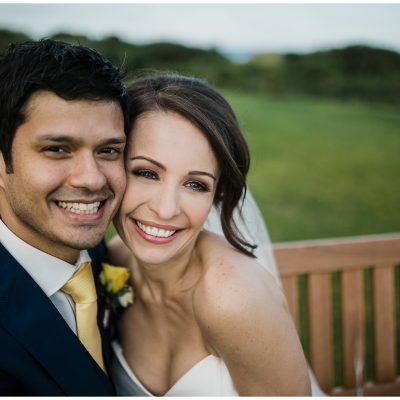 Ian and Cliodhna’s happiness was so infectious they were making people smile wherever we went! Cliodhna and Ian had a druid ceremony and I was totally blown away by the effort they put in to designing from scratch their ceremony set up. They wanted to incorporate the elements of fire, water, earth and air and came up with the most beautiful display I have ever seen for any ceremony during my career. Guests were welcomed in to the space with a sage smudging and everyone was totally captivated by the unique and heartfelt ceremony. I have hand on heart never seen so many happy tears cried during a ceremony, Ian and Cliodhna both have large families and it was so heartwarming to hear how happy both sides were to become one.